This is the best plant fossil locality that I have visited. 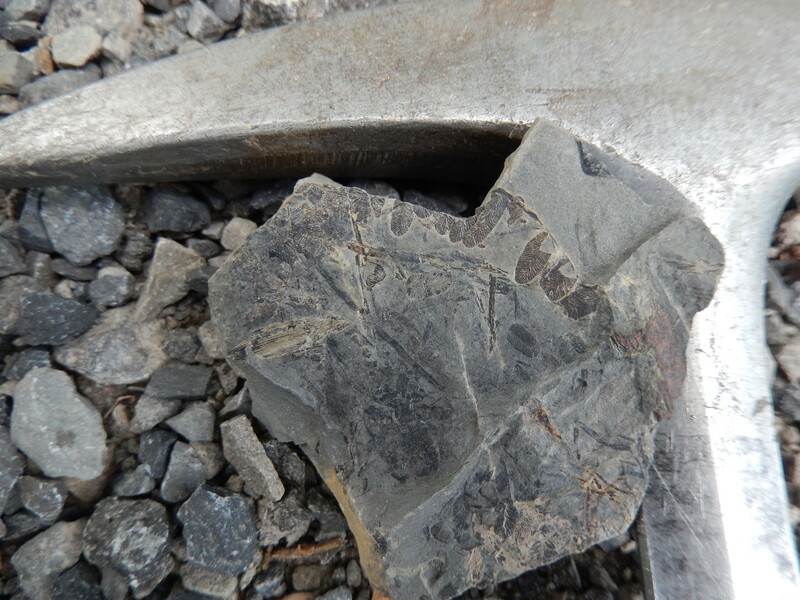 I've stopped at this road cut three times, and each time I found some very nice samples. The outcrop is small, but the rocks are highly fossiliferous. 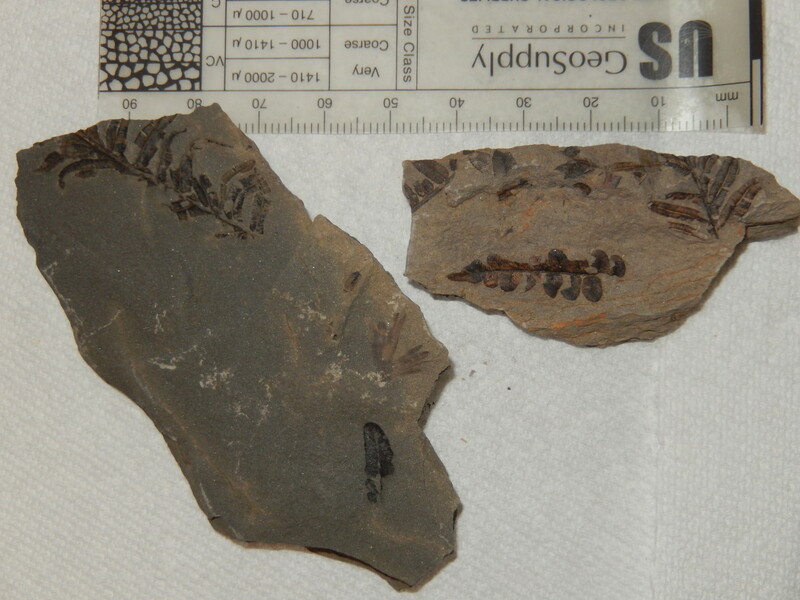 The fossils occur in very fine-grained sandstones and organic-rich shales. I've been most successful in simply looking through the talus. 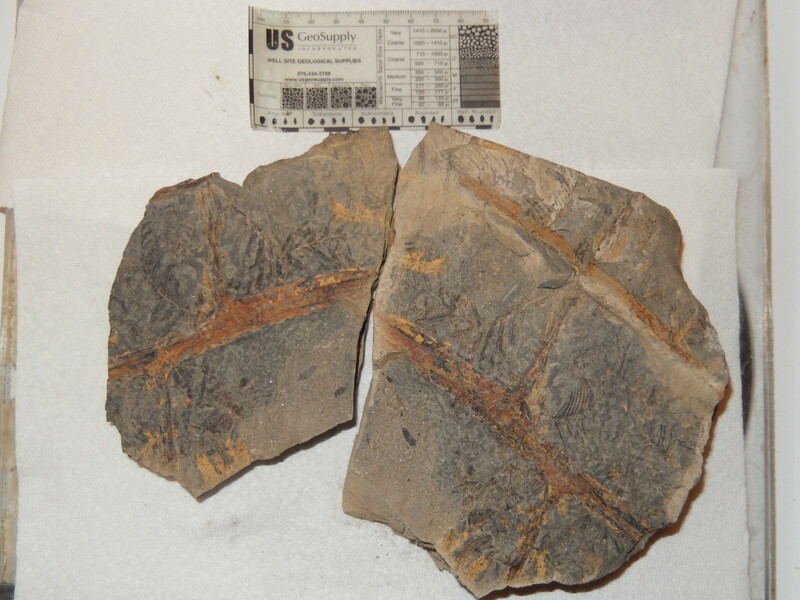 The fossils are found within the Pennsylvanian Pottsville Group a couple meters above the contact with the underlying Mississippian Mauch Chunk Formation. 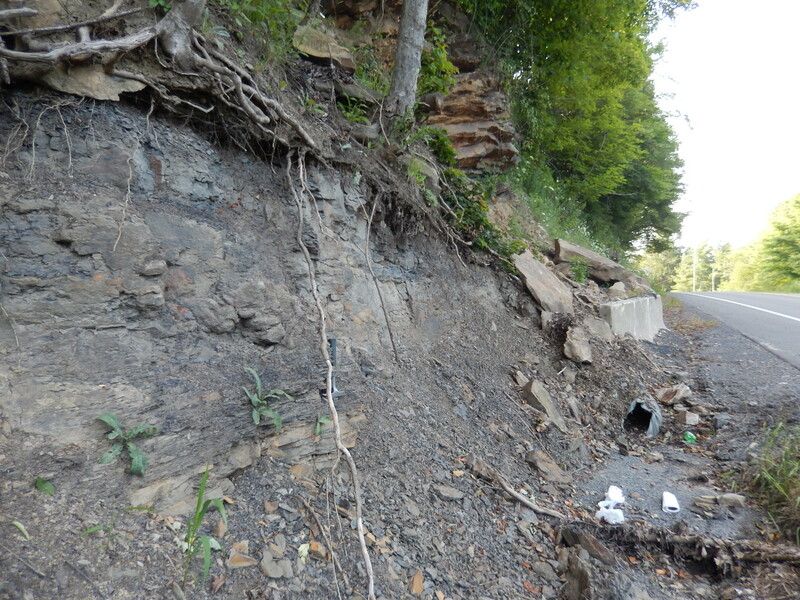 The rocks of the Pottsville Group generally represent deposition of sediments at the base of the tall peaks of the Alleghenian Orogeny (the third and final phase of Appalachian mountain building). 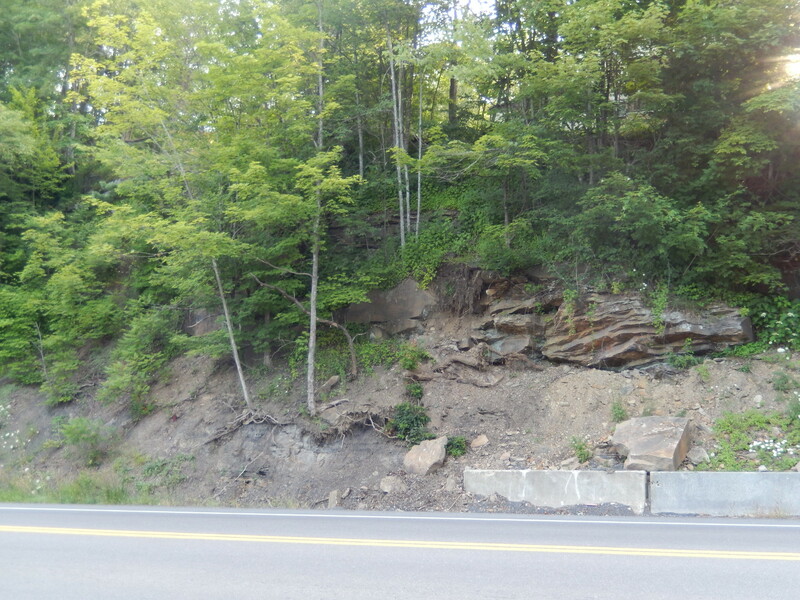 There is a convenient pull-out on the east side of WV32 immediately across from the outcrop. Be careful while collecting here (and when driving in and out of the pull-out), as the road cut is just below a crest, so you can't really see oncoming south-bound traffic (and of course they can't see you).